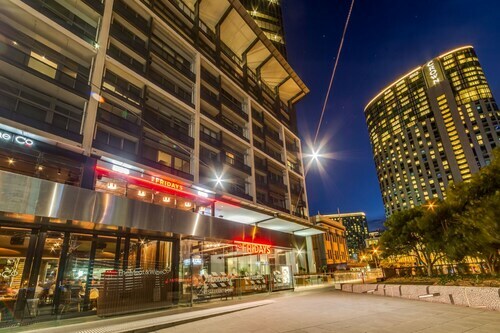 Located in Melbourne Central Business District, this luxury apartment building is within a 5-minute walk of Southbank Promenade, Eureka Tower, and Eureka Skydeck 88. Melbourne Arts Centre and Melbourne Convention and Exhibition Centre are also within 15 minutes. Flinders Street Station is 10 minutes by foot and Flagstaff Station is 21 minutes. When you and your family are holidaying in the state of Victoria, don't miss its capital, Melbourne. Positioned 0.9 kilometres south of the heart of the city, you can reach the popular area of Southbank Promenade. 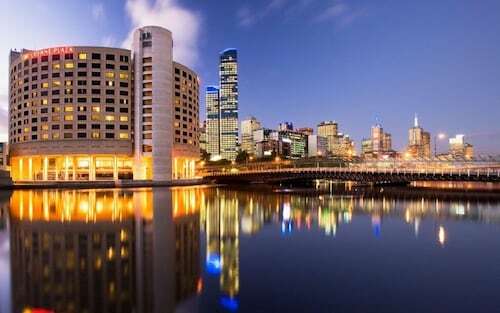 Melbourne is where to find a great range of iconic sights, such as the Crown Casino and Entertainment Complex, Federation Square and St. Kilda Beach. The Royal Botanic Gardens and the Melbourne Museum are worthy excursions in and around Southbank Promenade. Don't spend half the day driving in order to spend time at the National Gallery of Victoria. 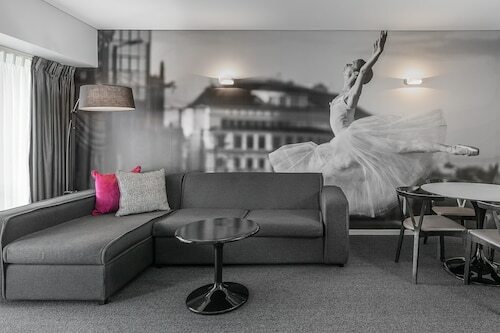 Wake up nearby at the Mantra Southbank Melbourne, Melbourne Short Stay Apartments MP Deluxe, Tribeca Serviced Apartments Melbourne, Melbourne Marriott Hotel and The Lyall Hotel and Spa and have more time for the fun stuff. Not all museums have old rocks and paintings. National Sports Museum holds a number of relics that is sure to thrill even the most casual sports follower. If you'd like to sleep close by, check out the Crown Towers and Park Hyatt Melbourne. On a sunny afternoon, there's nothing like reading a book in Fitzroy Gardens. 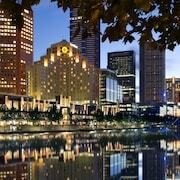 The Grand Hyatt Melbourne and The Westin Melbourne are your leading choices for this attraction. At Wotif, we think that from time to time you just have to spoil yourself. So if you're looking for places to rest and relax in Southbank Promenade and you can spend a bit more, you should check out the packages at The Langham, Melbourne and Crown Metropol. A stop off at Oriental Teahouse is an excellent way to jumpstart your day in Southbank Promenade. Just follow the aroma of roasted coffee beans! 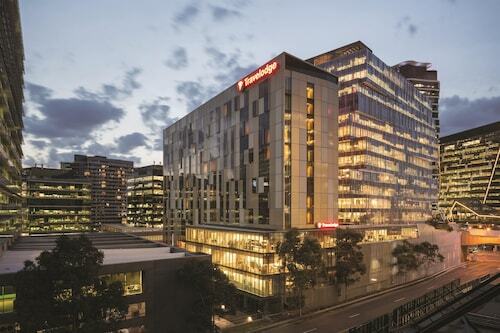 Once the caffeine wears off and your tummy starts hankering for something a bit more filling, check out the menu at Travelodge Hotel Melbourne Southbank. This popular eatery dishes up some seriously delicious meals. If you wouldn't turn down a drink or two before heading back to the hotel, why not pop into Nomads Melbourne? Who knows, the bartender might even be able to give you some tips on where to go tomorrow! 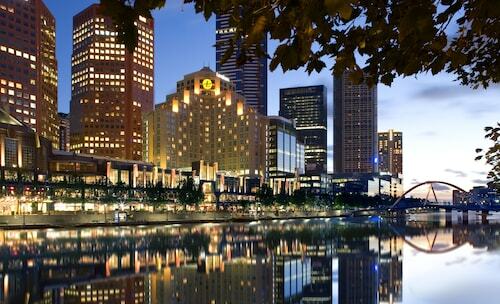 No worries if you cannot locate the ideal hotel in Southbank Promenade. You will discover more places to get a great night's sleep in the Yarra Riverfront hotels guide and the Wotif Southbank hotels guide. Yarra Riverfront is 0.5 kilometres from Southbank Promenade and Southbank is approximately 0.5 kilometres away from Southbank Promenade. So it is finally time to make your Southbank Promenade dreams a reality? Wotif will help you sort it out, from hotels to car hire. How Much is a Hotel Room in Southbank Promenade? 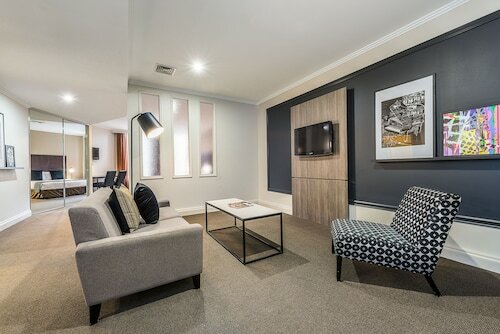 Hotels in Southbank Promenade start at AU$84 per night. Prices and availability subject to change. Additional terms may apply.